Offered at both of our practice locations, massage therapy is a collaboration of techniques used to treat numerous health-related conditions in a patient. It helps restore balance to the body, as well as the mind, in a relaxing environment. Regardless of what you hope to get out of your massage (a luxurious treat, stress relief, or pain management), massage therapy can be a powerful ally in your healthcare regimen. Our therapeutic and deep tissue massages are effective for treating severe acute pain and chronic health issues. Techniques include neuromuscular facilitation, lymphatic drainage, trigger point therapy, PNF stretching, fascial release as well as proper education on at-home care, pre/post event stretching and postural awareness. Cupping is an extraordinary technique that has been passed down for thousands of years. Therapeutic or myofascial cupping is a suction technique designed to pull toxin buildup and muscle spasm from the body’s deeper tissue to the surface of the skin. Dean graduated from the 3000 Hour Advanced Clinical Massage Therapy Program at MaKami College. Dean has the skill set necessary to assess and treat a myriad of different physical conditions and can provide a safe environment for clients to relax and escape from the buzz of a busy week. 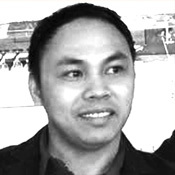 Intuitive and nurturing, Dean strives to tailor each massage to the specific needs of every client using a wide variety of techniques to treat pain and disharmony within the musculature of the body. I grew up in a small French community just outside of Peace River, Alberta. I have always loved camping come summertime! I also enjoy spending quality time with friends and family which comes from growing up in a family of 6 kids (4 boys, 2 girls). 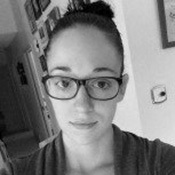 Crystal is a graduate of the Grant MacEwan Massage Therapy Program. She believes that massage is an integral part of relieving stress in today’s fast paced world. Whether a reset to slow the mind and rejuvenate the body or deep tissue and trigger point work to help with healing after an injury, it’s all therapeutic. Having been in a rollover MVA gives her special insight into the benefits of massage therapy as part of a recovery protocol. She looks forward to helping you elevate your well-being. Keegan Graduated from the 3000 Hour Advanced Clinical Massage Therapy Program at MaKami College. 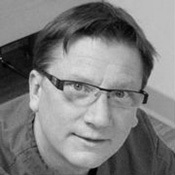 Keegan has the skill set necessary to assess and treat a myriad of physical conditions. 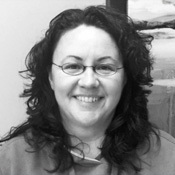 She strives to provide a safe, relaxing environment for clients to experience touch and healing for various conditions. 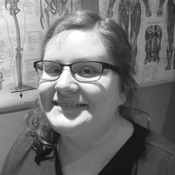 She believes that each massage should be tailored to the clients needs using a wide range of techniques to treat pain and disharmony in the body. Discover for yourself the remarkable benefits of massage therapy. Contact our practice today to schedule a session!